Old South Carriage Evening Tour of Charleston is a 30-minute event. Guests will get to go through a 15 block radius of Charleston, South Carolina. It is the perfect introduction to any first-time visitor to the Charleston, South Carolina area. Confirmation will be received at the time of booking. An adult must accompany all children. 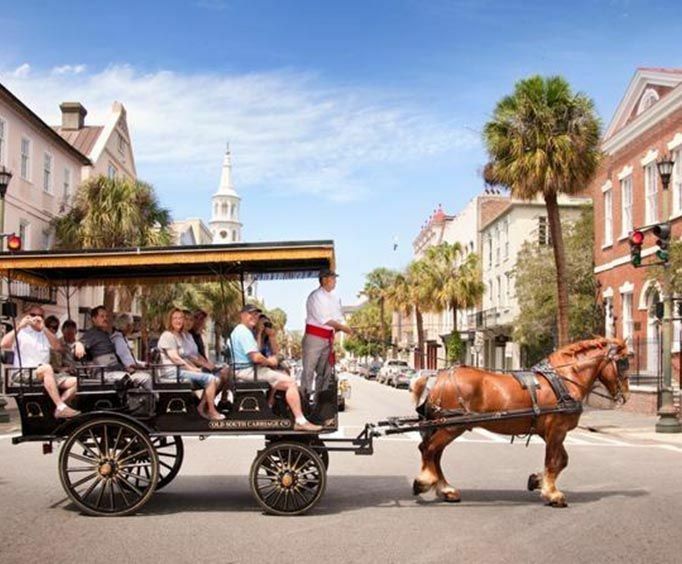 This is a tour that will take guests on a carriage ride throughout the City of Charleston, South Carolina. The tour will give a commentary on the rich history of Charleston. Guests will get to see some graveyards, churches, and the Waterfront Park. Old South Carriage evening tour of Charleston, South Carolina is one of the most comprehensive tours in Charleston. This tour will take guests on many sites throughout Charleston, South Carolina. There will be a 15 block radius that is covered during the tour. Guests will get to see most of the city's original boundaries. The guide will be a licensed guide. The guide will offer commentary on the oldest buildings and all the landmarks. In the cost of the ticket for the Old South Carriage evening tour of Charleston is a carriage tour, and the driver. The driver of the carriage will be the guide for the tour. Gratuities for the guide are not in the cost of the ticket. However, tips for the guide are encouraged. The tour will operate in all weather conditions. Guests should dress appropriately. Old South Carriage evening tour of Charleston is a 30-minute event. It is a family oriented event. Guests taking this tour will not be disappointed. They get to see the City of Charleston for 30 minutes. There is a guide who will be the driver of the carriage. The tour will take guests around a 15 block radius of Charleston, South Carolina. 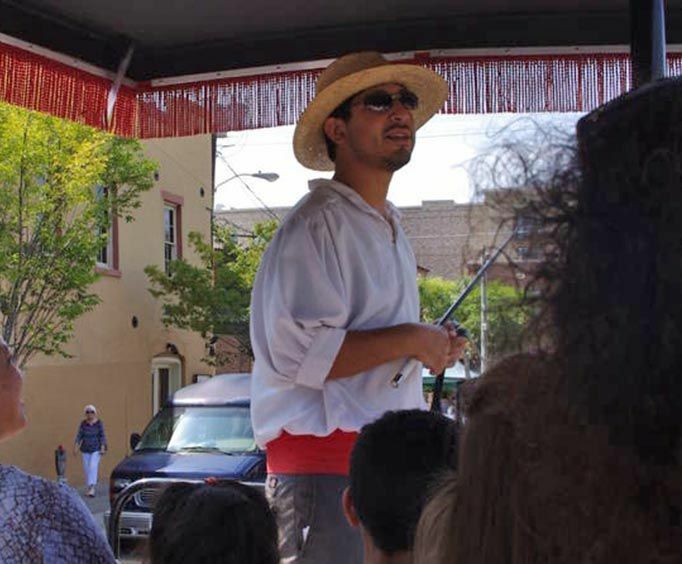 This after-hours tour covers 15 blocks, mostly within the original city's boundaries. As your licensed tour guide expounds on Charleston's 350-year history, you will ride past the Powder Magazine (oldest building), the Circular Congregational Church with the oldest graveyard in the city, and the Four Corners of Law. The turn onto Broad St&period; takes you on one of the oldest trading routes through the city, passing the Old Exchange Building, Waterfront Park with its prominent Pineapple Fountain, and the historic City Market. The best part of the tour? 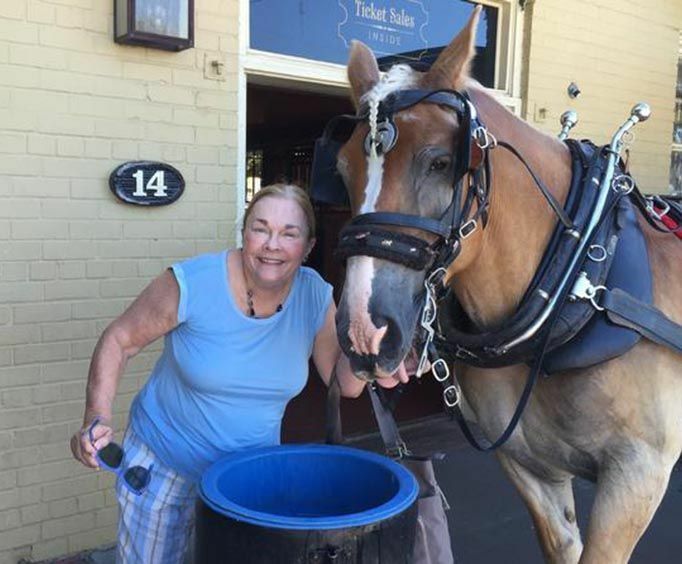 It's pulled by the strongest working draft horses! These are the same kinds of draft horses that worked on American farms in the early 1800s. central Market Area of downtown Charleston. Our Daily Evening Colonial Charles Town Carriage Tour departs at 5:30pm. Please arrive 15-minutes prior. Our Daily Evening Colonial Charles Town Carriage Tour departs at 6:30pm. Please arrive 15-minutes prior.